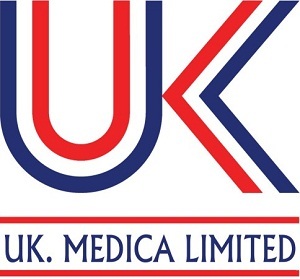 Polymer baby nasal spray is a medical device, is a world wide brand distributed by UK MEDICA, Polymer baby is used for effective nasal hygiene, which enhance 100 % protection of the nasal mucosa against outside attacks (cold , allergens , dry atmospheres , pollution , …..), it’s also used for treatment and Prevention of Rhinitis, & Allergic Rhinitis. Polymer baby Isotonic nasal spray helps the baby to breathe in a normal way, and reduces the chances of infection and illness of respiratory system . Blockage of the baby’s nose by excess mucous, makes the baby annoyed and could not breathe normally, so can not able to breast-feed and sleep comfortably, so nasal hygiene become necessary for a healthy life for babies by Polymer baby. Children younger than 3 years old, can’t know how to blow their nose in the normal way, The Polymer nasal sea water spray is especially designed to help them cleaning their nose and remove excess mucous by easy and comfortable way. Pure isotonic seawater solution (9 g / 1Liter NaCl). No contacts to the inner propellant gas with the active ingredients. To ensure permanent nasal hygiene . Helps babies to eliminate excess mucous in blocked nose during common colds. To maximize prevention of rhino-pharyngeal infections. To reduce inflammation associated with colds and flu. Can be used from birth, thanks to its BOV technology, and safety nozzle which tailored to the anatomy of baby ̒s nose . Recommended to use before meals, administer 1 or 2 puff sprays in each nostril , 2 to 6 times per day or according to your doctor advice. Directions for use : tilt the baby’s head aside, and insert the nozzle of Polymer in the upper nostril , press briefly then repeat on the other side. Humidification of the mucous & smooth washing and drainage of the nose. Tolerable alternative to chemical nasal decongestants. Enhance effect of Local nasal specific TREATMENTS. Multi position spray with micro droplet. New fixed and more safer nozzle. New BOV (bag on valve) gentile and wide nasal cavity covering spray puff. 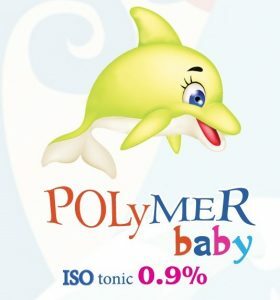 Polymer baby Isotonic sea water nasal spray is Made in Italy.